Tell us what makes your mom so cool, and what she needs to take it one step further. 3 winners, 3 Bratpack prizes of your choice. – Like Bratpack Malaysia Facebook page. 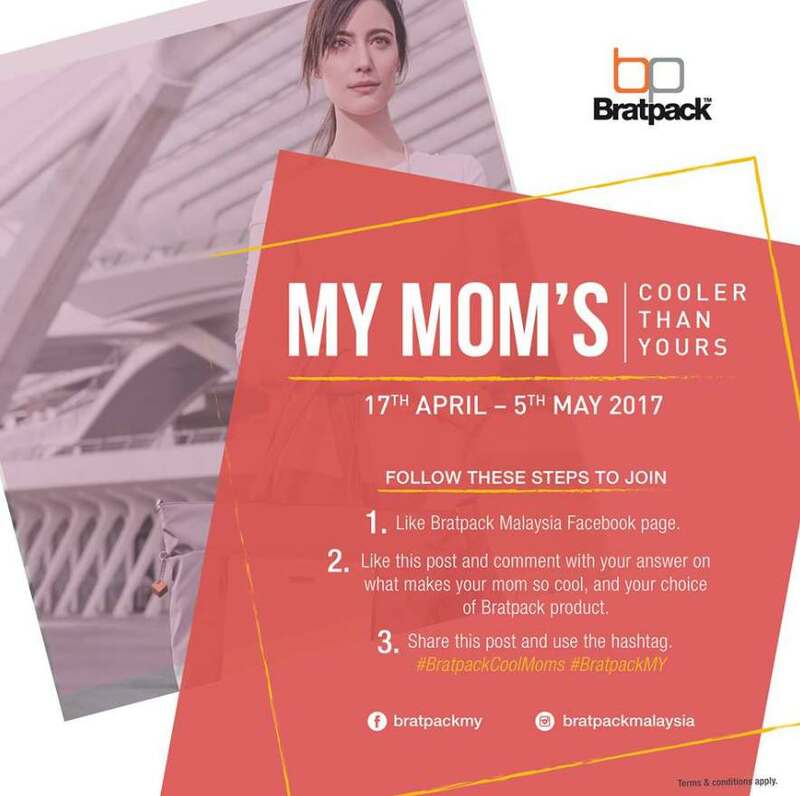 – Like this post and comment with your answer on what makes your mom so cool, and your choice of Bratpack product. Contest runs from 17th April to 5th May 2017.